What my prayer letters looks like! 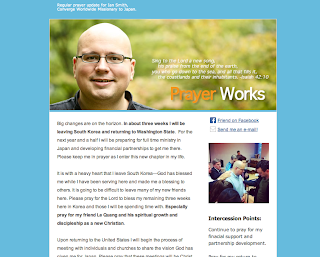 Every month or so Ian sends out a prayer update sharing about God's faithfulness and how you can be in prayer for him and the people that he is ministering to. 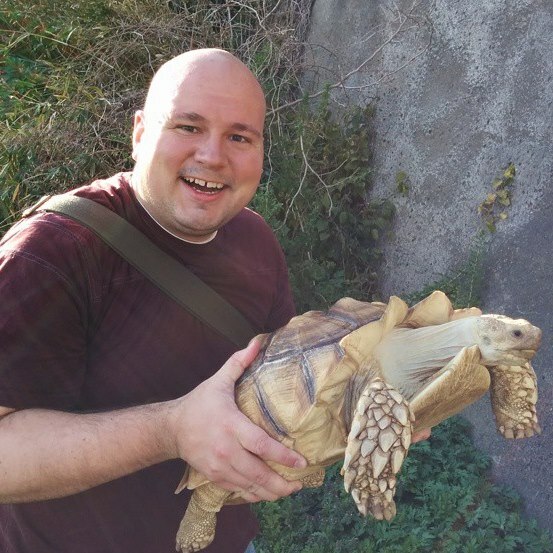 Ian is currently preparing for long-term missionary service with Converge Worldwide in Japan and would greatly appreciate your prayers and partnership during this time of preparation and transition. Ian has experienced the power of prayer in his own life on countless occasions and looks forward to seeing how God will use your prayers to advance His Kingdom among the Japanese and through your lives. Ian uses Mail Chimp for these prayer updates so that they are easy to sign up for, and easy to unsubscribe from should you decided that you would no longer like to receive them.